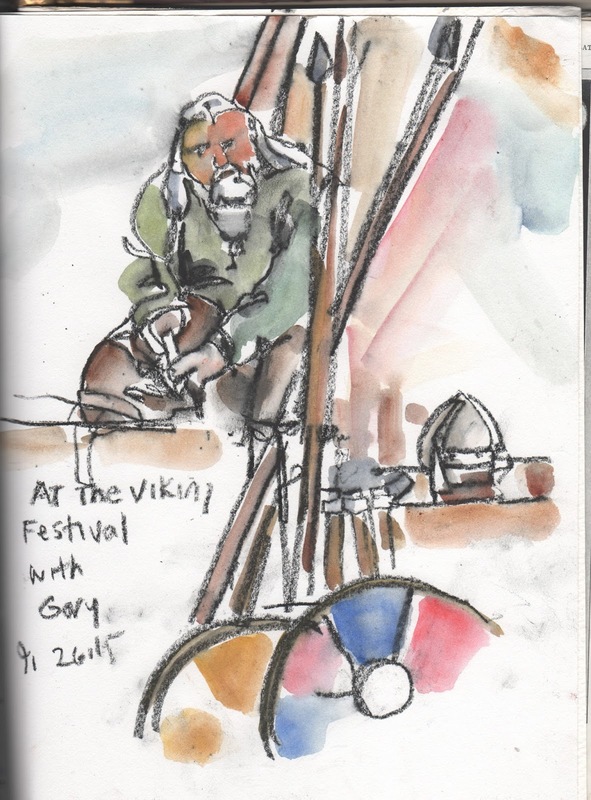 The Vista Viking Festival was held in Norway Hall in San Diego this weekend. We enjoyed watching bread, weapons, coins and lefse being made. 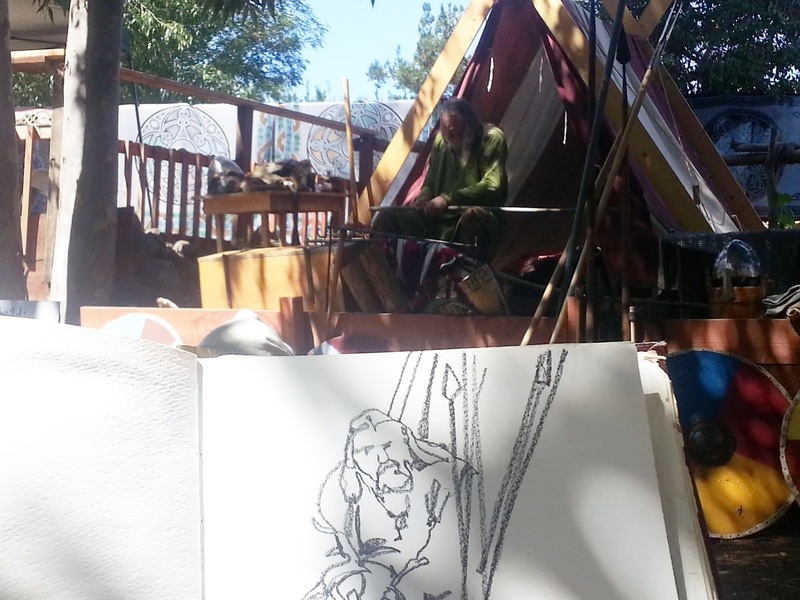 This is one of the men I enjoyed watching and sketching.